Batten down the hatches for classic laughs as the PT-73 crew hit the big screen? digitally restored. When the crew of PT-73 tries to make fast money with a plan involving delayed race results the scheme backfires and they find themselves owing thousands of dollars to a group of less-than-forgiving Marines. The situation seems hopeless until the crew discover the wreck of an Australian freighter and a famous racehorse onboard. With a little deception, they might just have the winning entry in a forthcoming race but will it all end in tears? 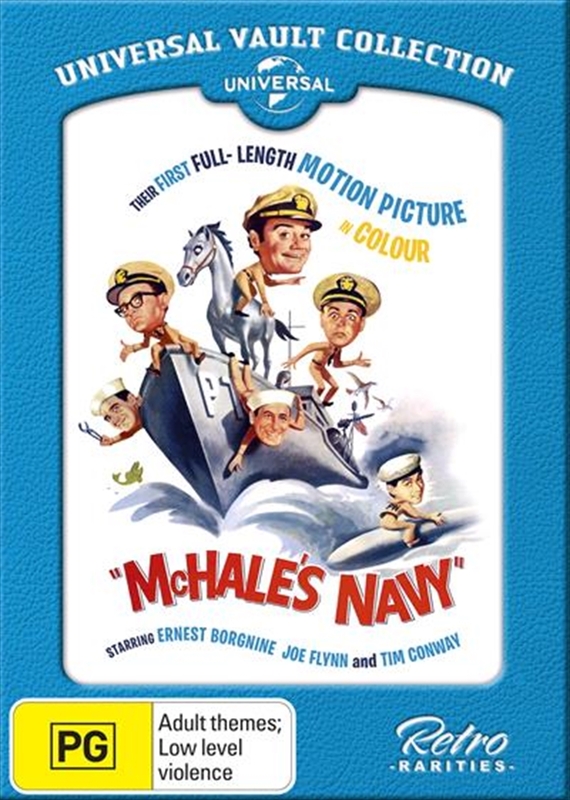 Lieutenant Commander Quinton McHale (Ernest Borgnine), Ensign Parker (Tim Conway), Captain Binghamton (Joe Flynn) and the crazy crew of the worldwide hit television series set sail on their first feature-length adventure in a beautifully restored anamorphic widescreen transfer.